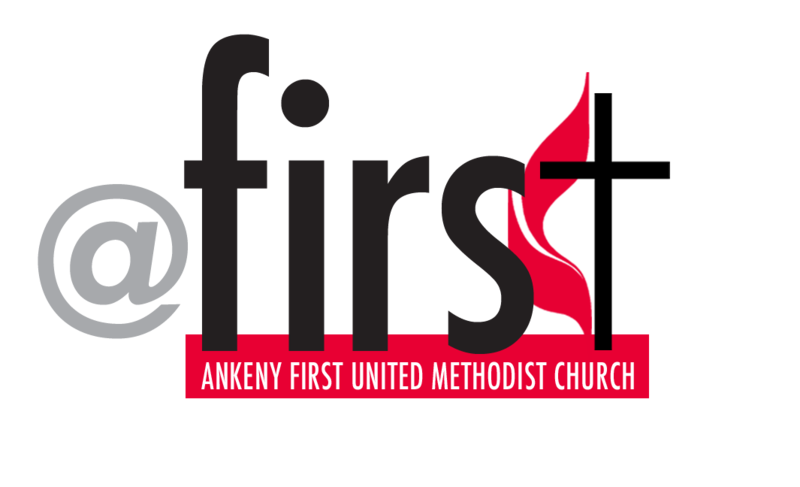 Children from birth to 5th Grade are an important part of the ministry at Ankeny First United Methodist Church. We offer a variety of special activities and programs for children and families to grow together in their faith, as well as to reach out and invite others to know, love, and serve Jesus Christ. Each year, we provide special programs and events for children from Sunday School, Bible Adventures, KULE Kids, Vacation Bible School, Third Grade Bible Presentations and Fairs, Easter Egg Hunt, Super Summer Daze, Trunk or Treat, Advent Festival and other special events. More information is available on these events through the links below. Our hope is that children and families grow together and experience Christ in a real way. For more information on this ministry, contact Pat Crownover, 515-964-4249, director of Children’s Ministries. Find our children's opportunites that will be happening in the spring and summer of 2018. K.U.L.E. (Kids United by Christ through Love and Example) Kids is our mid-week program for 4th and 5th graders where our focus is on doing God's work and sharing God's love. We will plan special projects to help our church family and our community, discover Bible studies, and plan other fun events. Our goal is to help kids find the joy that God brings to our lives by following and listening to Him. We meet from 6:45 - 7:30pm Wednesday evenings during the school year in Room 14 at the Uptown Campus. In order for this club to be successful, we need parent involvement. Come and share some of your time with the kids and you too can be the hands and feet of Christ. Fun and adventure await you on Wednesday evenings during the school year•from 6:45pm to 7:30pm. Bible Adventures is for children in Pre-Kindergarten (4 years old) through 3rd grade. We'll discover exciting Bible stories, sing and play games, and create crafts. Come join us in sharing the good news of Christ. We meet in Room 10 at the Uptown Campus. In order for us to run this club, we need parent involvement. Come share some time with the children, you'll be so glad you did! Dive into Deep Blue includes inspiring Bible stories, activities, crafts, and games into a faith experience for children and youth. Each week, children and youth will discover exciting Bible stories and adventures to challenge them to grow in their faith. With Deep Blue, kids will not only grow in mind and body--but also in heart and soul. We welcome all children (ages 3 years - 5th grade) to Sunday School, to grow in the their faith so that they can proclaim the good news of God’s love and serve God and their neighbors. Uptown Campus – Children, ages 3 years - 5th grade, are invited to Sunday School following children's time during worship both the 9:45am and 11:00am worship services. Classrooms are located on the lower level of the Uptown sanctuary. Children and parents are asked to sign-in for Sunday School at the attendance computers near the Education office. A nursery is provided for infants and toddlers (under two years old) with trained childcare staff at all three Uptown worship services located in Room 117 near the sanctuary. Christian Life Center – Children, ages 3 years - 5th grade, are invited to attend the beginning of the 9:00am and 10:45am contemporary worship services with their parents/guardians. Children are dismissed to their classrooms following the Children’s Time. Parents are asked to sign-in their kids for Sunday School at the attendance tables before the start of the worship services. The CLC also has a nursery, located near the building entry, where well-trained staff provide childcare during the two worship services. Faith Chapel - Sunday School is offered at the 10:30am worship service for children, ages five years - 7th grade, in the lower level near the Fellowship Hall. Faith Chapel also provides a nursery for children (under five years old) for both the 9:00am and 10:30am worship services. Each year, Ankeny First hosts an Easter Egg Hunt for the community on the Saturday before Easter Sunday. The Easter Bunny always attends and is a popular attraction with the children. This event is only made possible through the volunteers and donations from the congregation. So keep this in mind as a fun service project for 2019! Don't forget to bring your Easter basket! We also provide a Special Needs Easter Egg Hunt at the Ankeny Aquatics Center Wading Area. Special beeping and magnetic eggs will be provided with prizes. The Ankeny Aquatics Center Wading Area is wheelchair and handicap accessible. Vacation Bible School is a fun week of worship, crafts, skits, music, outdoor activies, and more. Your kids won't want to miss it! VBS @First is open for children ages 3 years (as of September 15, 2018) to 4th grade. VBS Closing Programs: Our children will share their VBS fun in a performance at the end of their last day of VBS. Evening VBS - Thursday, June 20 from 8:15 to 8:45pm. Morning VBS - Friday, June 21 from 11:40am to 12:10pm. Cost: $20 per child. (Includes t-shirt, music cd, crafts and snacks) Scholarships available. When registering your children and youth for summer activities, place them in the grade they JUST completed during the 2018-19 school year. All current 3rd -6th graders are invited to a special day trip camp at Springbrook State Park. It is a great time to enjoy the out-of-doors and learning about God’s wonderful world, hiking, swimming, kayaking, and much more. Cost for the camp is $10 which includes lunch and an evening meal and all activities. Date: Watch for the date to be announced this fall! Each year we host an annual event celebrating the season of Advent specially geared toward children and their families. The event is filled with crafts, food, and fun so children can learn all about the the special season of Advent and the events that precede Jesus' birth. Watch for details here about dates and times. Consider volunteering to make this a special event successful. In order to work with the children of our congregation, you must complete the Child & Youth Safety Form below and review our online training program. Download the Child and Youth Safety Policy Form and Training. These forms should be turned in to the CLC or Uptown offices prior to volunteering.